NYG&B Labs provides an innovative space to leverage the latest trends in technology and digital media to assist in discovering, preserving, and sharing the stories of New York State families. The initiative provides practical, hands-on experience for aspiring digital professionals seeking to advance their expertise in technology and its applications for the fields of history and genealogy. Read on to learn more about the NYG&B Labs program and see what our exciting current projects involve. Each quarter the NYG&B will welcome up to two members of the NYG&B Labs team. As a team member, each participant will work on a designated, pre-approved project. Once completed projects may be added to resources at newyorkfamilyhistory.org or elsewhere. The NYG&B is specifically seeking team members with an interest in data science, machine learning, geocoding, mapping, social media, web development, history, and other topics. Members of the NYG&B Labs team will benefit from one-on-one interaction with experts in the fields of genealogy and technology as they work to creatively apply technology to traditional genealogical methods relating to New York’s history. A minimum of 10 hours per week is required during the quarter and a stipend of $1,250 will be paid to each team member, each quarter. Team members can work from anywhere in the world, though it is preferred that they are able to work out of the NYG&B offices at least 10 hours per week. An NYG&B Labs team hard at work at the NYG&B offices in NY. Applications to join NYG&B labs are open year-round. You can start by filling out an application form below, which asks you to provide some basic details about yourself and an outline of the type(s) of project you envision participating in. 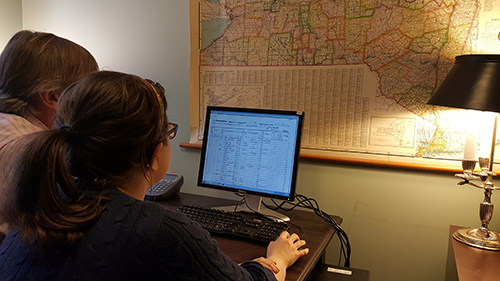 The NYG&B is specifically seeking team members with an interest in technology, geocoding, mapping, social media, website development, digital services, history, and other topics. How is NYG&B Labs supported? NYG&B Labs is made possible through support from donations made to the New York Genealogical and Biographical Society. Make a donation online or contact our Membership Department to learn more about you how you can support this important project. This ambitious project seeks to visualize the 149 years worth of scholarly genealogy on New York families contained in the archives of the New York Genealogical and Biographical Record. 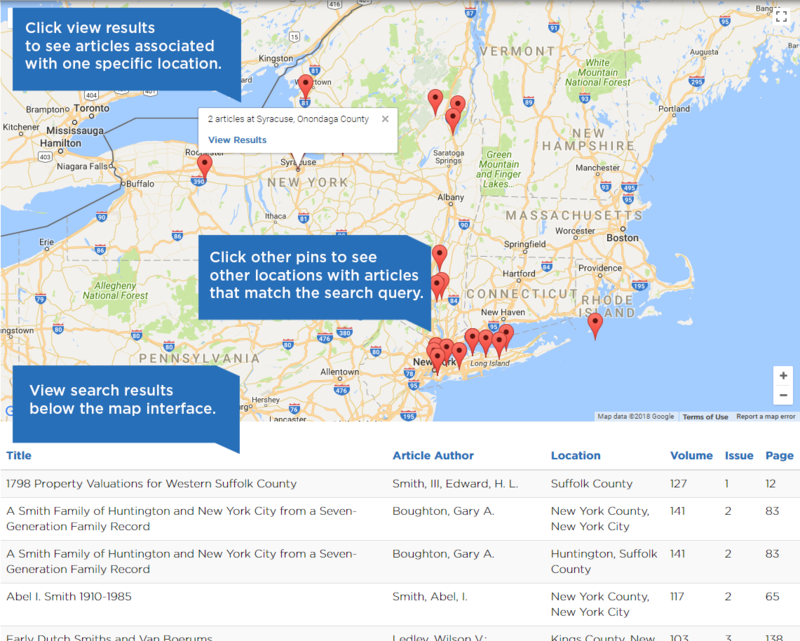 The project's first phase produced The Record Map Search - a digital interface that allows users to search an index of articles in The Record, and see the locations associated with article search results displayed on a map. Users can view and filter search results based on location, allowing them to visualize the essential content of The Record in a whole new way. This tool will allow researchers to zero-in on a specific New York State town, city, or county and easily find all record set transcriptions, compiled genealogies, case studies, and other articles about that specific location. To learn more about this project, visit The Record Map Search Help and Feedback page. You may also be interested in reading a blog by NYG&B Labs team member Kerstin Carson about her experience. Locating and geographically visualizing Canadian-born African North Americans in the U.S. Federal Censuses for 1860, 1870, and 1880. Analyzing Civil War pension files of African American Civil War soldiers. Preparing, cleaning and organizing data from genealogical sources to be ingested, manipulated, and presented by a computer software program. 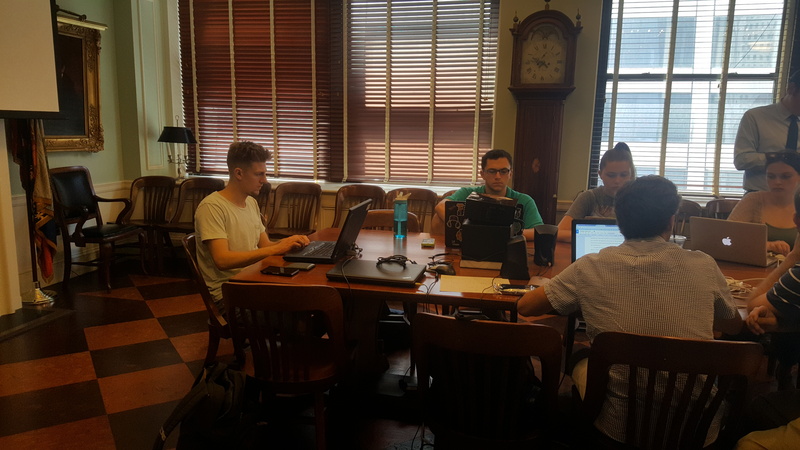 The data science members of the team were able to organize and present genealogical data related to border crossings through visualization software, while students studying the humanities learned the principles of genealogy research and how to adapt their discoveries to machine-compatible data. This project is still ongoing, and we hope to help Professor Arenson make further progress in the coming months. We make continual progress on both of these projects, so please check back again soon to see the exciting new things these teams are accomplishing. If you have any ideas related to these two projects (or something in an entirely different, but fascinating direction), please submit an application below! We would love to hear from you. We accept applications year-round. Please email [email protected] with any questions.